Dr. A Sajidas has the experience of more than 29 years in designing and execution of various models of Biogas plants, other Renewable energy projects, waste management projects and Energy conservation activities. Presently working as International Biogas Consultant in The Ministry of Agriculture, Republic of Yemen. Recipient of several National and International awards including GREEN OSCAR (INTERNATIONAL ASHDEN AWARD 2007) for generation of energy through decentralized waste treatment, awarded by AI Gore, formerly Vice President of America, in the presence of Prince Charles - Prince of Wales. Has been nominated as a member of the Working group in the Ministry of New and Renewable Energy, Govt. of India, for providing technical support for renewable energy solutions in telecom towers in the Country. He has acquired Masters Degree (MA) in Sociology and Doctorate in Solid Waste Management. Invented more than 22 Important Innovations relating to the development of various Green Energy Projects. Presented 8 different papers for the National and International seminars. 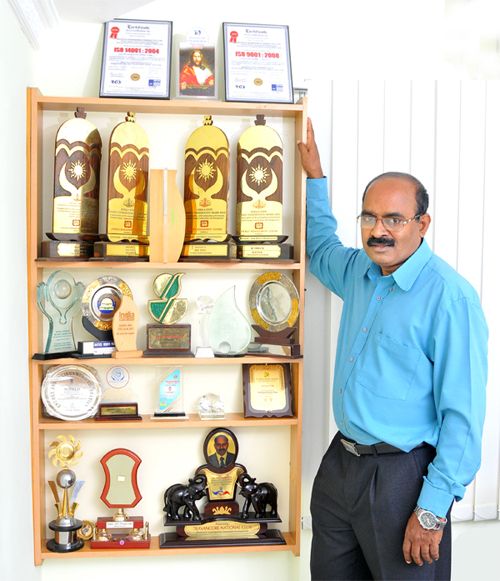 He has also published more than 7 articles in the National and Regional publications. Produced 3 Video documentaries relating to various Waste to Energy projects. In addition to the above activities Dr. A. Sajidas is the technical advisor in Renewable energy, Waste management and Energy conservation activities of different reputed companies in India and abroad.